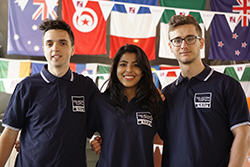 The "Commission des Titres d'Ingénieur" is an independent organization, mandated by French law since 1934 to evaluate engineering programs, to develop the quality of training, to promote the graduate engineering profession in France and abroad. Telecom SudParis is a member of Conférence des Grandes Ecoles, the organization that includes all accredited Grandes Ecoles in engineering and management in France. There are two parallel systems of higher education in France: universities and “Grandes Ecoles” historically small, selective and elite institutions which operate specialized graduate schools. To facilitate agreements of mutual recognition. The Framework and Standards Guidelines that constitute the basis upon which authorization to award the EUR-ACE® label is granted to quality assurance and accreditation agencies is available at the ENAEE website. Quality assurance and accreditation bodies, like the CTI, which have themselves been accredited by ENAEE, award the EUR-ACE ® label to programs in engineering which satisfy the established quality criteria. The CTI certifies Master’s Degree programs in engineering. The French Conference of Directors of Engineering Schools (CDEFI) is a non-profit association of directors, presidents and deans of French public and private schools of engineering and universities accredited by the CTI, the French accreditation agency of engineering programs. CDEFI promotes the training of engineers in France, Europe and throughout the world. It supports higher education and research both in France and abroad by providing engineering schools a variety of services such as advocacy, policy recommendations, and project management. 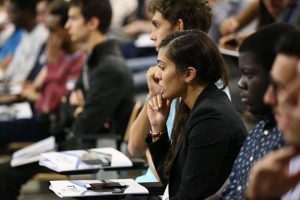 As international competition in higher education and research is becoming tougher and tougher, CEDEFI provides a framework for French engineering schools to collectively reflect and take actions meet the new and evolving challenges in the field. Organizing and fostering the exchange of ideas between members through workshops, seminars, and monthly meetings. All institutions of higher education that are accredited to grant degrees in engineering degree are responsible for their quality and reputation. This is why all 206, CTI-accredited engineering schools in France can become members of CDEFI and take advantage of the services we provide, regardless of their administrative status. Founded in 2006, the Carnot Label was designed to develop partnership-based research conducted by public laboratories in partnership with socio-economic players, primarily industry (from SMEs to large corporations), to serve their needs. 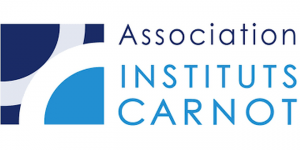 The Carnot Label is granted to public research structures, Carnot Institutes, with proven, high-level R&I competencies dedicated to fostering innovation with industrial partners. They concurrently conduct upstream research capable of renewing their scientific and technological skills, and promote an ambitious partnership research policy to benefit global socio-economic issues. 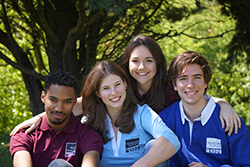 Carnot Institutes are selected through a competitive call for applications. Partnership research is a major driver for the economy to foster corporate innovation and to guarantee both competition and growth. ESSI (Expert in Information System Security) certification recognizes expertise at the Master’s Degree level by the French national commission of professional certifications (CNCP), a title officially referenced in the French national register of professions (RNCP). An expert in information systems security guarantees security throughout the entire life cycle of an information system by intervening at all stages of the development process from needs analysis to exploitation. 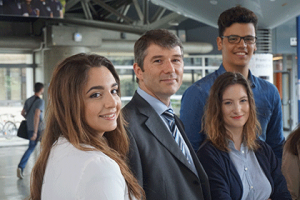 Upon successful completion of the Systems and Networks Security Major, students will be awarded both the Master’s in Engineering from SudParis, and the Information System Security Expert title (ESSI) granted by the French National Agency for Information Systems Security (ANSSI).